Dalton Management, Inc. in Portland, Oregon and Dalton Realty in Palo Alto, California offer a complete property management department. Our staff includes Certified Property Managers, a professional certification given only by the Institute of Real Estate Management of the National Association of Realtors for advanced training and achievement. Dalton Realty and Dalton Management were built on a tradition of honest dealings with our clients, residents, and the community. With an emphasis on strong communication and customized management plans, we take pride in the high-level of service we offer our customers. Management Programs are individually designed to fulfill your goals. From houses to apartments to office suites, Dalton relieves you of all or partial responsibility. Our staff is trained to develop management programs to meet the clients’ requirements—whether for fixed income return, equity appreciation, or a combination of both. Dalton is small enough to be responsive to your needs, yet our expertise and training have sufficient depth for the largest assignment. We can help your income property reach its potential, both in profit and appreciation. Create leasing programs; screen and select qualified tenants; maintain communications with tenants. Maintain rent collection records; provide complete and accurate records and report in a timely fashion per client’s specific needs. Ensure routine interior and exterior inspections. Oversee regular maintenance services, preventive maintenance; construction and remodeling. Prepare and review budget annually. Prepare periodic analyses of rental value/market value; current and projected earnings; equity trends. Consult and evaluate for retention, enhancement, or potential sale; implement the decisions per owners’ instructions. Please contact us if you have any questions regarding our services or would like a consultation. 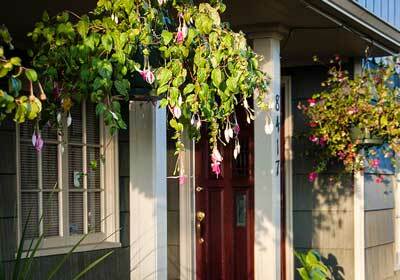 Dalton Management has been managing properties throughout Oregon since 1985. Our primary objective is to provide tight, hands on management to maximize cash flow and thereby maximize appreciation of the property values. We are actively involved in Multifamily NW and keep up to date on apartment trends. Dalton Realty has been active in the Palo Alto area rental housing market since 1965. Locally, we are focused on managing individual homes, small complexes, and small office buildings in Palo Alto and Menlo Park. We believe real estate is a neighborhood business. We are full service managers and feel it is vital to be close to the properties we manage.